S.O.S. Crown Heights and S.O.S. 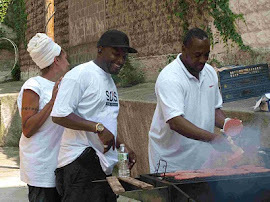 Bed-Stuy: The New York Times Covers S.O.S. The New York Times Covers S.O.S. ﻿We're happy to have received great coverage from the New York Times this weekend. Please forward the link to the article about S.O.S. to those you think would be interested. "Gunfire Will No Longer Be Met by Silence"
People gather near the site of a shooting in Crown Heights last month for rally against violence. Photo by Michael Appleton. Derick Scott grabbed the large brass bell from a fold-out table and raised a bullhorn to his mouth. “We’re going to ring this bell for every victim that has been shot in Crown Heights,” he said. 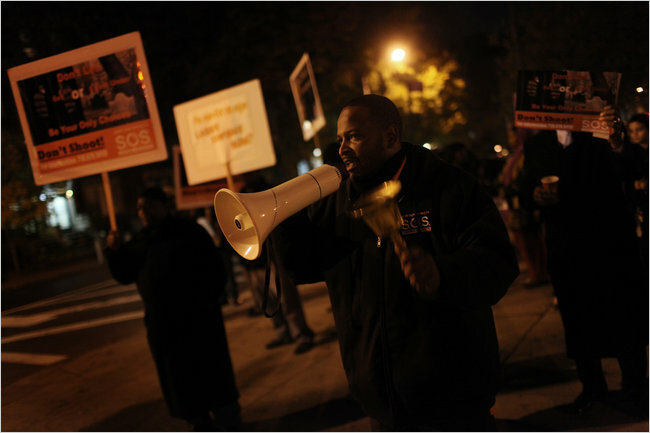 As Mr. Scott, 40, heaved the bell and bellowed into the bullhorn last month, a crowd of about two dozen people surrounding him chanted, “No more.” It took them nearly two minutes to complete the task. 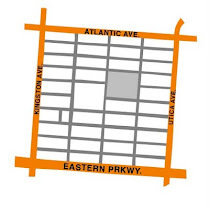 There had been 66 shootings in that Brooklyn neighborhood so far this year; a few days earlier, a 23-year-old man was hit by a bullet near Troy Avenue and St. John’s Place, a few feet from where Mr. Scott stood. The bell-ringing last month was the most dramatic moment of the roughly 30-minute “shooting response,” as the event is called. 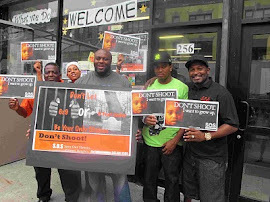 Organized by the Crown Heights Community Mediation Center, the response is part of a new effort to fight gun violence in Crown Heights called Save our Streets, or S.O.S., that is modeled on CeaseFire, the antigun violence program developed at the University of Illinois in the 1990s. Click HERE to continue reading the story.